*Regenerative Cannabis. Create, Adapt and Flow with Nature’s Guidance. Bringing together leading experts from across the industry to tackle subject matter from a uniquely Canadian perspective. We are proud to host our third, highly anticipated Lift & Co. Cannabis Business Conference (LCBC). This exclusive all-day conference is your opportunity to join and thrive in the discussion around both the fast-growing medical and upcoming adult-use markets and how Canadian businesses are in a position of strong leadership. Our industry-only trade show day offers focused opportunities for cannabis professionals to kick-start meaningful conversations, relationships and deals. Whether you’re an established business owner, cannabis company employee or industry-curious entrepreneur, we encourage you to engage with fellow exhibitors in this exclusively professional environment. 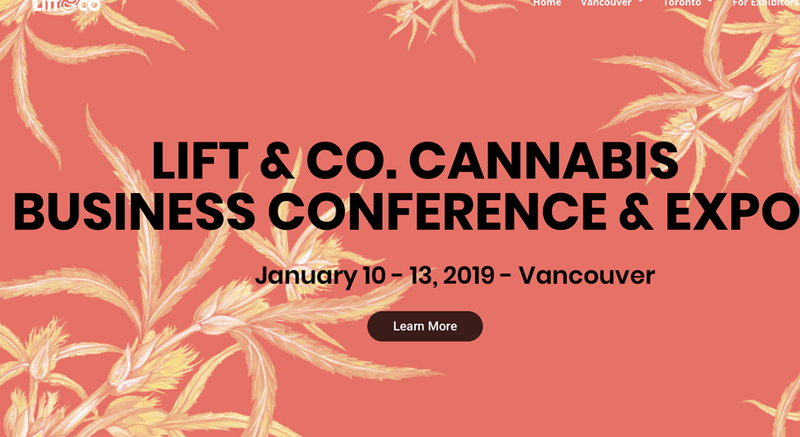 Whether you’re brand new to cannabis, a long-time consumer, you depend on cannabis for medical purposes, or are simply canna-currious, join us at the Vancouver 2019 Lift & Co. Cannabis Expo. Here you’ll explore new products, take in the latest scientific research, discover how cannabis culture and public policy are evolving for the future, and so much more.